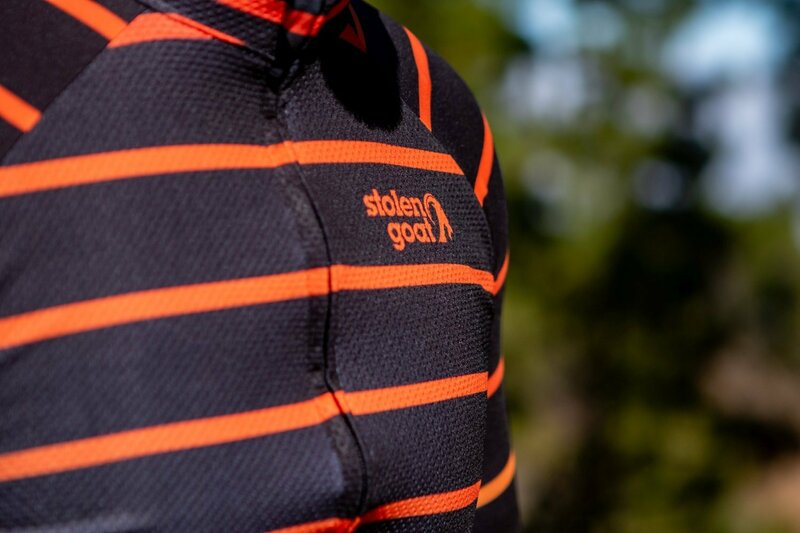 Stolen Goat clothing has been available to buy on Wiggle since 2015. Our new SS19 Collection will not be available via Wiggle or Chain Reaction Cycles. Some people have asked about our reasons for taking the step to move away from the WiggleCRC platform, which may seem counter-intuitive on the surface of it, so I thought I’d clarify our position. If you are expecting us to lay into WiggleCRC as a company, you’ll be disappointed. There’s no big falling out and they haven’t done anything to upset us – in fact in my experience the buying team at Wiggle are a friendly and professional bunch of people who are genuinely passionate about the sports they represent. I think there is often a misconception that when you choose to sell your wares at Wiggle you step into an ominous room full of people “playing hard ball”. That just hasn’t been the case for us. The Wiggle team have shown interest in growing our brand through their platform and are always excited to see new products. Of course, they also need to consider their own interest as a company but, generally, what works for your brand will also work for Wiggle. We have had three good years of working with them, enjoying their obvious enthusiasm for what we do and watching our brand grow on both platforms. If you ever get a chance, have a read of Creativity Inc by Ed Catmull (Founder of Pixar Studios). In one chapter he talks about “feeding the beast”. The point he makes here is that a film studio starts up, makes a great film, hires more people, makes a second great film, hires more people… etc etc. At some point there are a lot of people and overheads to keep running. In other words, keeping the lights on is expensive. This can be dangerous territory because it can cause studios to make films just to keep the revenue coming in rather than for the love of the movie itself. So you end up with films like Lion King 3 (yep it exists), or Dumb and Dumberer or…. *shudders*… The Emoji Movie! At Pixar they have made a conscious decision NOT to simply feed the beast – instead they treat each new movie like a baby, nurturing it and letting it grow in a happy, healthy way. This is just one reason that Pixar has become one of the most recognised and respected film studios on the planet. Wiggle isn’t a film studio of course. But, as great as the Wiggle team are, WiggleCRC itself is a beast that needs feeding. It’s a selling machine with products as an input and money as an output. Very often, what happens in the middle is determined as much by the needs of the beast as by the people who work with you. The staff are constantly at risk of being under- resourced and under pressure because the beast grows at a fast pace and the money coming out isn’t always sufficient to cover the costs of the products going in + the costs of whatever happens in the middle. If the beast stops being fed, the whole thing falls down. As a result a brand could get caught in a less than desirable situation – which brings us to a crossroads. In 2015 I was approached by Wiggle to discuss Stolen Goat being sold via their platform. I deliberated over this decision quite a lot. Stolen Goat as a company was very young then and relatively unknown so I took the view that from a marketing perspective this was a good opportunity. Wiggle has millions of visitors going through their website each week, so that’s great exposure. They also have cheap shipping internationally so we could serve our Worldwide customers almost as well as our customers closer to home. We are a little bigger now and as a result we are starting to look at opening operational facilities in Canada and North America and later this year (hopefully) Australia. This means we can start to replicate the cheaper / easier shipping solutions that Wiggle can offer. Well that’s an interesting one. If you ever visit the Wiggle or Chain Reaction websites, or you ever receive one of their email newsletters you’ll probably notice something… a lot of the brands you see on the homepage and in the newsletters are those same mainstream brands that you regularly see… Castelli, Assos, Gore etc. There’s nothing wrong with these brands of course but they often pay to be listed on the homepage of Wiggle and pay again to be in the newsletters. It makes sense, of course, to feature the brands which drive the largest revenue but it also, essentially, prices smaller brands out of Wiggle’s marketing efforts. If you used Option 1 then, well, you already know about the brand in question – so there is limited marketing value in terms of being discovered by new customers. People in this box are likely to be making a price or platform-based decision in terms of buying something that is already on their radar. 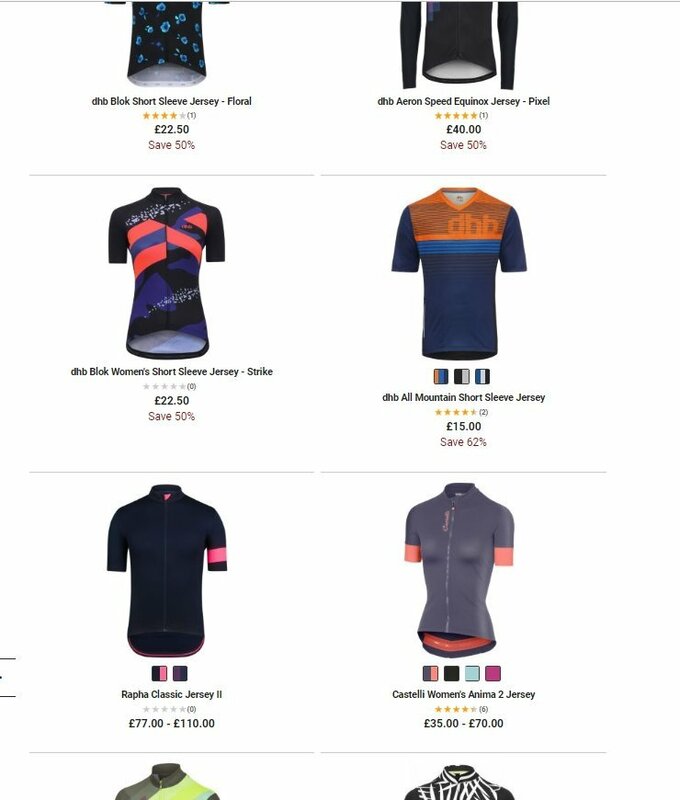 Option 2 has some value for a smaller brand for a persistent or curious customer, but to get to Stolen Goat on Wiggle you first have to scroll through pages of discounted mainstream brands – Castelli, Gore, Rapha, DHB for example. Even some of the smaller design-focused brands like Morvelo are often heavily discounted on the platform. My point is that if our brand is unknown to you, you would typically have to scroll past a lot of temptingly discounted apparel before you even get to us. While that may feel like a good thing for the consumer, at Stolen Goat we pride ourselves on charging the right price for a product rather than pitching it high and using discounting as a means of selling it. It’s why we don’t have a January sale, summer sale, mid season sale, Boxing Day sale or any of that stuff (we do have a yearly Black Goat sale in November that is private to our subscribers and followers). In this regard, we’re definitely not the norm in this industry. Critically, whichever option brought you to Stolen Goat on Wiggle, the marketing benefits rapidly start to dwindle… and you start to simply become food for the beast. Let’s talk a little about Rapha. I’m going to come right out and say that, personally, I am a fan of Rapha. I don’t own or use any Rapha kit but I have a great respect for Simon Mottram and the way he pioneered the cycle clothing industry as it is today. Stolen Goat would still have been born without Rapha, but I do think it would have been a much tougher industry. Rapha created the concept of great quality commercial cycling kit, paving the way for us. Now, the thing about Rapha is that it’s built from the ground up around well-crafted branding. 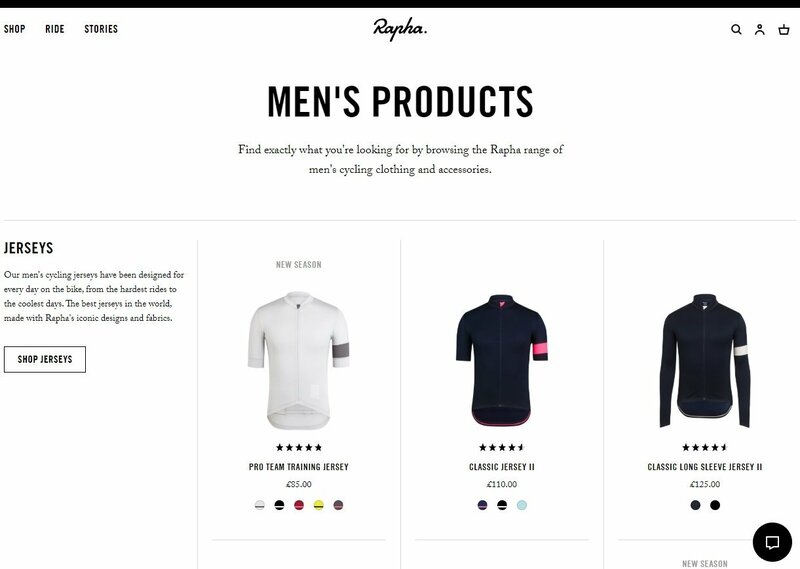 Ask 10 cyclists which companies in the industry have the strongest branding and 9 or 10 will mention Rapha. So I have to say, and it’s personal opinion and nothing more than that, I was kind of sad to see Rapha on Wiggle. What you can’t see here is that I actually had to go to page 2 (96 per page) to find Rapha. Regardless, in this case it’s frankly just another jersey. Not only that but it appears at the ambiguous price of £77 – £110? Even discounted it still looks crazy expensive next to the £35-£70 Castelli jersey. My point is, in a marketplace environment it becomes less about branding and what the company stands for, and more about grabbing a deal. When I saw Rapha on Wiggle, it made me take a long hard look at whether or not I wanted Stolen Goat to be viewed in the same way. The simple answer was “no”. Selling via Wiggle, for many brands, pretty much writes you off as a viable proposition to most independent shops and other smaller online shops… all over the World. Don’t get me wrong, over the last few years we have also been approached by Evans, Halfords and ProBikeKit amongst others. We took the decision not to take those deals out of respect to our relationship with Wiggle and because competition between “big box retailers” only seems to speed up the race to the bottom. Stolen Goat as a customer facing website does extremely well at serving our customers all over the World. Customer service is crucial to our offering as a business – without it we simply wouldn’t be where we are today. Long may that continue. So if you want to buy our kit online you are covered. If you want to touch and feel it then, well, not so much. This year we would like to start changing that, but independent retailers have a tough time of it. Throw huge industry players like Wiggle into the mix and it becomes tougher still. Our view is this, if you want to buy the kit, great… here’s the price – regardless of where you buy it from. No-one should stock our products and be at a disadvantage from the start. I’m sometimes a little surprised that some of the bigger brands are still actually stocked by independent shops given the discounting online. Hopefully we can, in some small way, try and level the playing field a little. I’m impressed you’ve read this far, but talking about Brexit will really test your dedication! Stolen Goat is a small but global brand. The majority of our customers are UK based but a very large percentage of our kit goes abroad. Last year we sold to over 50 different countries! Not only this, but most of our products are made in the EU. Frustratingly, we still don’t know what the future holds in terms of Brexit. But one thing is already clear to us – to continue our growth we need to have options both in the UK and internationally. For us, it just doesn’t make sense to have two major platforms in the UK competing for sales. Instead. we want to focus our attention on developing operations and logistics internationally by finding strategic partners that can better service the needs of our international customers while we continue to take care of our customers in the UK. Ultimately, it comes down to a key decision for us to make. How much of a say do we want to have in the way our brand looks online, how it’s priced, how our customers are served. We’re a small team and we care passionately about this business. Stolen Goat means a huge amount to me, personally, so control of these points is crucial. We have made our choice – one that we hope will allow us to grow this brand in a way that works for us and our customers. Hopefully you can see the logic in our decision. Thank you for your support. This entry was posted in Business & Life, Industry News. Bookmark the permalink.